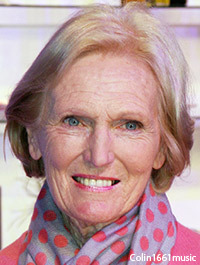 Mary Berry uncovered some fascinating newspaper articles during her Who Do You Think You Are? episode, revealing shocking information about her ancestors Christopher Berry and Robert Houghton. 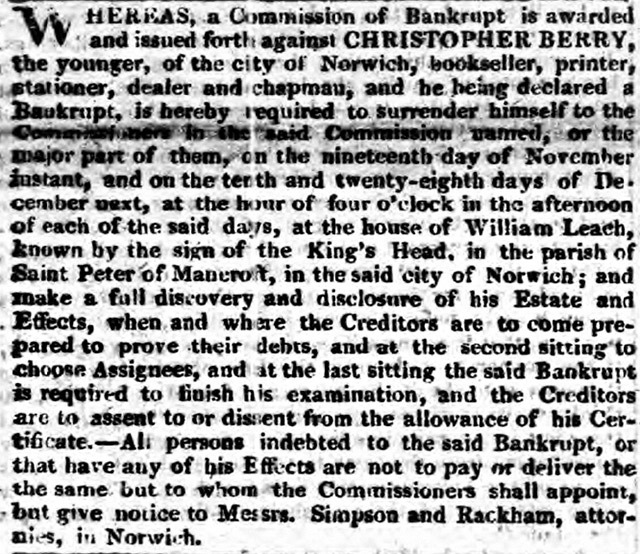 On Saturday 14 November 1811, the Norfolk Chronicle printed the following announcement about Christopher Berry, Mary Berry’s great-great-great-grandfather. He was described as a ‘bookseller, printer, stationer, dealer and chapman’ who had been ‘declared a bankrupt’. Because of his bankruptcy, people indebted to him were advised not to pay Christopher Berry, but to give notice to two Norwich attorneys instead. Another Norfolk-based newspaper, the Norfolk News, published a story about Mary Berry’s great-great-grandfather Robert Houghton in 1855. Robert Houghton was a baker. 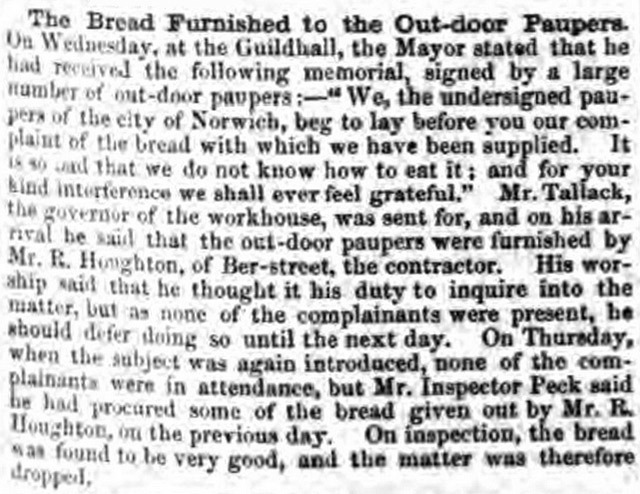 He had his own bakery shop in Norwich and, as this newspaper article shows, also supplied the local workhouse with bread. The Norfolk News reported that, in February 1855, the inmates of the workhouse complained about the bread he was baking. The paupers apparently stated that ‘it is so bad that we do not know how to eat it’. According to the newspaper article, however, ‘on inspection, the bread was found to be very good, and the matter was therefore dropped’. 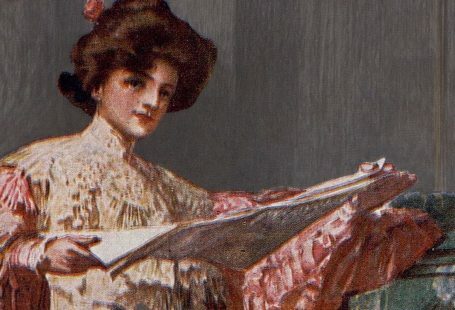 Have you found your ancestors at The British Newspaper Archive? Local newspapers are a fantastic resource for family history research and very easy to search. Simply search for an ancestor’s name to get started. You can view your first three newspaper pages for free at The British Newspaper Archive and a 1 month subscription is great value for money at just £12.95.